These beautifully handcrafted wooden walking sticks, are known by many names, but the original cane gets its name from the Shillelagh Forest . Each year we invite the community to nominate local residents exhibiting true Irish spirit. A shillelagh and certificate are presented to the winners by Senator Stephen Brewer for their extraordinary generosity, compassion, enthusiasm, kindness, and sense of humor. 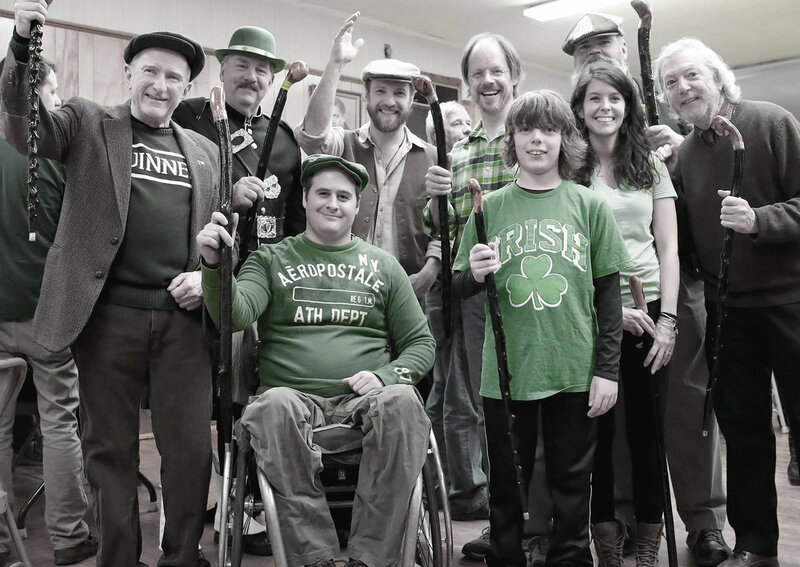 Winners of the 2017 Shillelagh Awards, pictured here with last year’s entertainers, from left Senator Stephen Brewer, Quaboag Highlanders, The Yokeshires, Dennis Fleming. Front row Chris Higgins, Harry Lewis, Amy Lapointe, and Kevin O’Hara. Missing from photo Dede Charlton, Forest Fessenden, Sonja and Mike Blaney and Lisa Rollins. Do you know someone you would like to see receive this coveted award? The Polus Center will host the All Things Irish celebration and will facilitate the collection of nominations for the Shillelagh Awards. A diverse committee of Barre residents will review nominations and select the winners, and honorees will receive their shillelaghs at the All Things Irish event. Fill out the nomination form below and tell us about them!